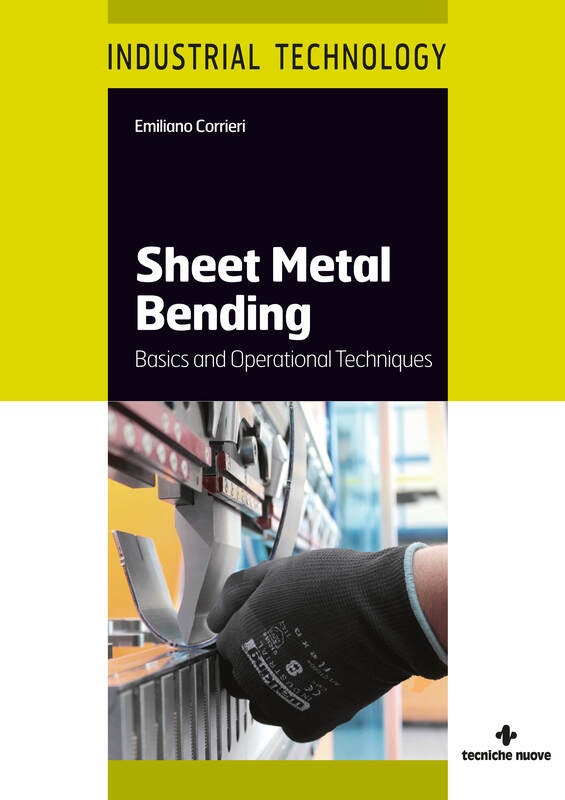 It is now available the book “Sheet metal bending – basics and operational techniques”, the volume drawn up by the italian publishing Group Tecniche Nuove. The manual is apt for operators, maintenance technicians, designers, sellers and entrepreneurs who have to deal with press bending. In the following text, the interview with EMILIANO CORRIERI, Author of the book. From what does the idea of the book spring? 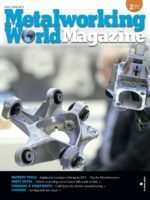 The idea of the book stems from a real need of sharing many information concerning a machining that is too often improvised and underestimated. I think that this happens in several ambits because the conviction it is a simple process, linked with a basic concept unchanged for years, is diffused. At the Academy, I often like comparing the sheet metal forming to painting, both actions are based on a very elementary concept: in the first, you have a punch that, with its pressure, bends a metal sheet “compelled” to follow a die; in the second, you transfer some drops of colours from the bristles of a brush to canvas. One thing, however, is to stain a surface, another to paint the Venus by Botticelli! Press bending, in an industry 4.0 ambit, so rich in technological innovation, strives to be inserted among technological processes that are standardizable, foreseeable and consequently easily evaluated in terms of costs and times. This due to the outstanding importance that the human component still holds. I believe that in a fast and discontinuous market like the current one it is necessary to rely on really aware, open-minded and up-to-date work team. Today, it is no longer sufficient to implement a well-done part: you must accomplish it quickly, without errors and carefully observing what is happening at the right and left of the production chain. That is the reason why in the book I not only examine the base concepts of bending with a very practical attitude but I provide also precious suggestions about how organizing one’s own work area and a check-list against errors, taking care of transforming it into one’s own “excellence area “. 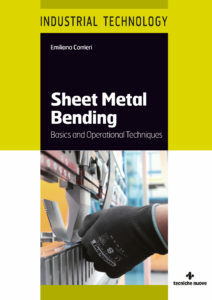 In my opinion (and not only according to me) the modern bending operator is the one who is aware of the dynamics that determine the sheet metal behaviour, relies on great abstraction capability, problem-solving skills, flexibility and broadmindedness towards new technologies, which are not expected to replace his skills but instead implement his possibilities. How is the book framed in the wider education project of the Bending Academy? The manual is a very important step for the training by the Bending Academy as it contains many of the concepts explained and developed during our courses. Clearly, it is not meant, and cannot be considered, as an alternative to attending one or more of our training days but instead as an outline of the concepts that are thoroughly analysed in classroom at the presence of participants coming from different realities. Only the dialogue and the direct contact with us and with the others can prove really efficacious for the professional and personal growth. Nevertheless, it represents a useful and efficient instrument to know or to revise the concepts that rule the sheet metal bending art, so wide and diversified. What is the target addressed by the book? The manual, like the training courses carried out by the Bending Academy, addresses manifold figures who deal with the press bending world. I admit that I was personally surprised by the vastness of professional figures who have decided to take part in our courses. If, initially, the target imagined for this type of training was mainly formed by machine operators and designers, in practice it has been judged very useful for roles like maintenance technicians, designers, resellers of machines, tools and accessories. Therefore, we can state that the interested audience is quite broad and variegated. Generally, when an engineering company turns to us for some courses, we always suggest to enrol a “mix” of figures that include operators, designers and, why not, one or more sales managers. This is very important especially for those realities where communication and transversal competences need to be improved. In fact, it is always very satisfactory for us to see how different professional figures, however coming from the same reality, if operating outside their daily context and given the same opportunities of learning new notions from a «stranger», start exchanging comments, opinions and solutions. In one word: communicating! What I call “transversal competences”, that is to say knowing concepts not strictly linked with one’s own task but connected with the same manufacturing process, enormously solve manifold problems at the origin. In our companies, many resources are often wasted because of incomprehension, misunderstandings and scarce awareness. It is quite frequent to hear that the sales manager has won a job order that, once in front of the machine, is unfeasible… Or that designers do not adopt those devices that change nothing in the piece functions but that would enormously simplify the bending work: unloads, cuts, efficacious tests and so on. Moreover, after our courses, designers understand what they must do and bending operators realize what they can ask for! What are the issues faced and how? The themes faced in the book represent a broad panorama of what is the technological press bending process, treated with a neatly practical propensity that is typical of people mainly trained in production. You do not find complex mathematical formulas for the theoretical determination of values that, actually, change according to manifold variables but instead how recognizing and facing them. You will find theory but also practical examples and many “tricks of the trade “. We start from historical applications of sheet metal (i.e. metal thinned into foils), up to how we obtain sheet metal nowadays. The rolling process, what are the types and the diversities then mirrored in press bending. Then, we proceed to a survey of steels to understand their characteristics and differences. The sheet metal variables, so manifold and often hidden, to explain afterwards concepts like “spring-back “, “neutral plan ” and “k factor”. The step that follows these concepts is naturally, the identification of the correct piece development according to the factors that regulate it and through three possible “roads” to be travelled. After this important chapter, we talk about the error and its management. Afterwards, we start with a part that can be considered more “practical”, linked with the production in strict sense: bending with large radii, different modalities; knowledge of parts and of the characteristics of the bending machine and of its tools; suggestions about the determination of the correct bending sequence of parts. We treat then what I call “particular cases “, that is to say issues like chamfers, rotations for asymmetric profiles, holes close to bends, wrong developing for thick and narrow pieces and so on… and tricks to solve them on the machine or in the technical office. A panorama of high-strength steels and two final very important chapters follow: the work organization and its quality, the machine safety. What is the contribution the book can give to the sector’s growth? I think that the book in itself but especially this type of education, due to what it faces, to how it has been devised and structured, can greatly boost the sector development. In these years more than ever, we are facing big transformations. The way indicated by all is industry 4.0, but I am convinced that not all have clearly in mind the real things to be done. Industry 4.0 does not exclusively mean the progress of systems and machines but especially (and this is a topic very often neglected), men’s growth and change. On the contrary, men are often relegated to the role of “personnel”, defined also with a cold Anglo-Saxon term “people”, ignoring the fact that they only can determine the success or the failure of a change. According to my experience, and to several sector players’, I believe that technology proves really efficacious exclusively when it serves men, without any claim to replace them, at least in a sector like ours. A trained worker becomes aware of the importance and of the complexity of his role and, therefore, a collaborator who can become keen on what he does, turning into a resource instead of a cost, being committed to adopting at best all fantastic technological inventions the market offers.